Something hip and alternative in Thailand! 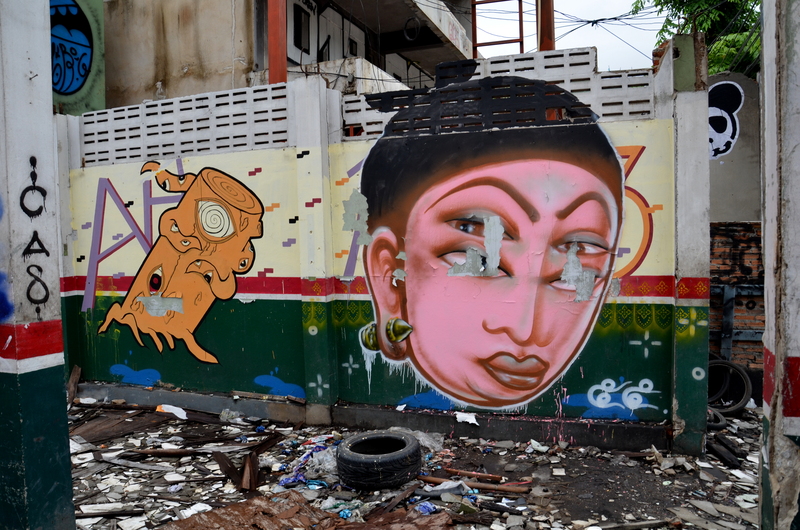 OK, so graffiti isn’t exactly a new concept, but underground artistic expression of any kind seems so rare in Thailand, that I was delighted to find a semi-demolished building tagged by some very adept artists. The building in question is near the campus of Chiang Mai University, and compared to the student works I’ve seen on display at the Chiang Mai University art museum, the street graffiti is full of life and promise.